Q – What is a Short Sale? A Short sale is when the primary mortgage holder (the lender) agrees to accept less than the amount owed on the seller’s mortgage because there is not enough money generated by the sales transaction to payoff the mortgage in full. Q – How is a Short Sale different than a foreclosure? A Short Sale is a process whereby the homeowner (the seller) remains in the home, paying the utility bills and maintaining the property while actively engaging a real estate professional to sell the property. A foreclosure is where the lender takes ownership and possession of the home with a legal process through the court system, and requires the “former” home owner to vacate the property. Q – How does it benefit me as the homeowner trying to sell my home in today’s market? It allows you as the seller to price your home competitively, usually at a price lower than what you would normally price your home, in order to attract a buyer who can purchase it. Q – How long will it take me to sell my home using a Short Sale? Homes being sold in a Short Sale process have two time frames to consider. The first is the length of time it takes to find a buyer for the home….This is entirely dependent on market conditions including the condition of the property, the price relative to other homes on the market in the same area, the desirability the neighborhood, etc., The second time frame occurs after a buyer is found and makes a qualified offer to purchase the home…The bank must approve the purchase in a Short Sale scenario and can take anywhere from 45 to 60 days, sometimes longer. Q – Why doesn’t everyone try to sell their home using a Short Sale? Because not every home or homeowner can qualify for a Short Sale, and not every mortgage holder (lender) will approve the use of a Short Sale. Q – How do I qualify for a Short Sale? To qualify for a Short Sale, a mortgage holder (lender) will usually look for several important factors including: (1) The value of the home has decreased because of market conditions and not because of disrepair, (2) The mortgage is in jeopardy meaning payments are consistently late, being partially paid or not being paid at all, (3) The seller has had some sort of hardship usually involving the loss of a job, divorce, separation, health matter or death, and (4) The seller has no other real assets that can be applied to cover the “shortage” in the sale of the property. 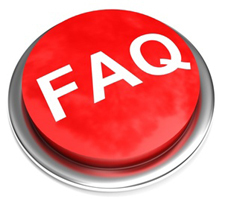 Q – Why would a bank want to approve me selling my home as a Short Sale? Banks consider approving Short Sales because overall, they are less expensive to the lender than having to foreclose on the property. A foreclosure involves extensive legal fees, takes a great deal of time for a bank to complete and usually results in the re-possession of house that is in disrepair and will have to be sold at a very discounted price, if it sells at all. Considering all that a lender has to go through for a foreclosure, they frequently see Short Sales as a much less expensive option for them. Q – Can I profit from a short sale? No, the seller can not profit from a Short Sale at all. No lender will approve a Short Sale if the seller is going to receive any funds from the sale. Q – Are there any tax ramifications or legal consequences to a Short Sale? Yes, there can be tax issues involving the amount of “shortage” involved in the sale and there can be other legal consequences involved with this type of transaction. Each situation is unique. The authors of this document recommend consulting with your tax advisor and/or legal advisor before proceeding with the sale of your property using a Short Sale process. Q – Is my credit affected with a Short Sale? Yes, your credit score and credit report are definitely affected by selling your home in a Short Sale scenario, however, recent news articles have stated that the negative impact is usually far less than that of having a foreclosure on your credit report.